Sinope, Jupiter's ninth known moon, was discovered by Seth Barnes Nicholson at Lick Observatory. H. E. Wood discovered asteroid #1096 Reunerta. C. Jackson discovered asteroid #1358 Gaika. With the launch of Mercury Redstone 4 "Liberty Bell 7", Gus Grissom became the second American in space. 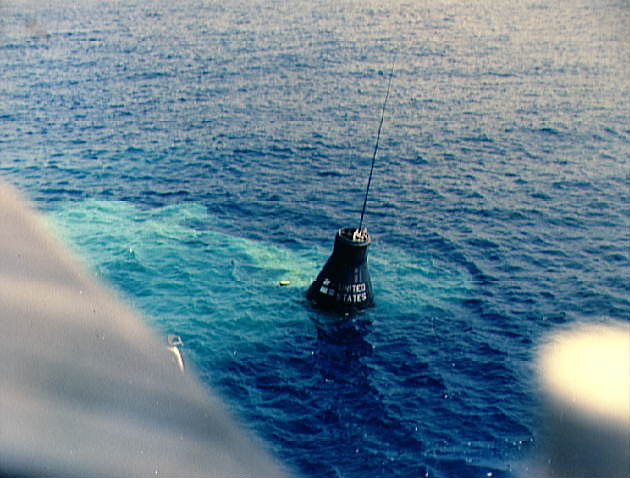 Although the capsule sank during the recovery effort, the suborbital flight was considered successful. NASA announced plans to build an advanced Saturn launch complex, Launch Complex 39, on 80,000 acres northwest of Cape Canaveral, Florida, including a building large enough for vertical assembly of a complete Saturn launch vehicle and Apollo spacecraft. NASA and the USAF launched X-15A-2 Alt,ST,Abl TPS Test mission # 162 in which Pete Knight reached a maximum speed of 5742 kph (Mach 5.12) and achieved a maximum altitude of 58.613 km. NASA's Gemini 10 capsule splashed down in the western Atlantic Ocean 875 km east of Cape Kennedy, successfully returning astronauts Young and Collins to Earth. 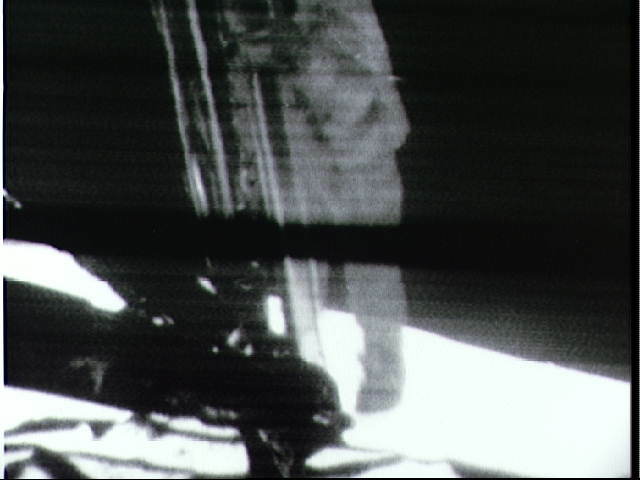 NASA Apollo 11 Commander Neil Armstrong stepped off the Lunar Module landing pad onto the Lunar surface, stating "That's one small step for man, one giant leap for mankind"; Armstrong and Aldrin then spent over 2 hours exploring the Lunar surface. USSR's Luna 15, intended to return samples from the Lunar surface to Earth, crashed on the Moon after 52 orbits. NASA astronauts Armstrong and Aldrin were lofted from the Moon's surface by the Apollo 11 LM ascent stage in the first launch of humans from a planetary body other than the Earth, after spending 21.6 hours on the Lunar surface. USSR launched the Mars 4 spacecraft, intended to be a Mars orbiter mission, but which did not enter Martian orbit as planned when the retro-rockets failed to fire to slow the craft in its planned trajectory. USSR Soyuz 19 (Soyuz-ASTP), the Soviet half of the Apollo-Soyuz Test Project, landed in Kazakhstan, 87 km northeast of Arkalyk, 9.6 km from its aim point, after the unprecedented international docking of their spacecraft on 17 July. N. Chernykh discovered asteroids #2585 Irpedina and #3298. 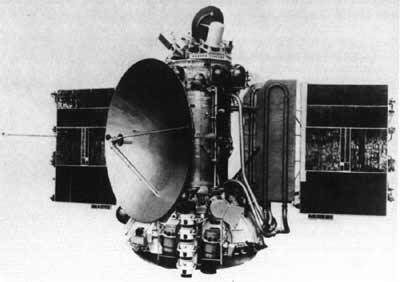 USSR launched Molniya 1-55 from Baikonur for operation of the long-range telephone and telegraph radio communications system in the USSR, and transmission of USSR Central Television programs to stations in the Orbita network. In Jackson, Michigan, a factory robot crushed a worker against a safety bar in the first documented case of a robot killing a human in the United States. An Ariane 3 launched from Kourou carried India's Insat 1C communications satellite and the Eutelsat I F5 communications satellite to space, which were initially positioned in geosynchronous orbit at 93 deg E and 10 deg E, respectively. China launched the Apstar A1 Asia-Pacific communications satellite from Xichang on a Chang Zheng 3 booster, which operated in geosynchronous orbit at 138 deg E.
During the 5h 35m Mir EO-19-3 EVA, Mir cosmonauts Solovyov and Budarin installed the Miras spectrometer. Astronauts Gernhardt and Reilly exited the Quest module for the 4h 2m STS-104-3 EVA, the first spacewalk starting there. Nitrogen Tank 3 was transferred from the Spacelab pallet to Quest's exterior, the astronauts then climbed to inspect the P6 tower. NASA's STS 104 (Atlantis 24) undocked from the ISS during International Space Station Flight 7A.